4Q18 is a trough for Keppel REIT due to negative rental reversion as Grade A office rents peaked three years ago at S$11.30-11.40psf pm. This year, Keppel REIT will also benefit from full-year impact of leases renewed at higher rents in 2018. Maintain BUY. Target price: S$1.35. KEPPEL REIT (SGX:K71U) reported 4Q18 DPU of 1.36 cents, down 4.9% y-o-y (FY18: -2.5% y-o-y). Contributions from Marina Bay Financial Centre (MBFC), One Raffles Quay (ORQ) and Ocean Financial Centre (OFC) declined 15.1% y-o-y, 14.9% y-o-y and 16.6% y-o-y respectively due to negative rental reversion as Grade-A office rents were higher at S$10.40-11.40psf pm three years ago in 2015. Income from four Australian properties declined 11.4% y-o-y due to a 7.7% y-o-y depreciation of A$ against S$, and asset enhancement at 275 George Street in Brisbane. 4Q18 distributable income was boosted by capital gains of S$3m. Benefitting from recovery in office rentals. Keppel REIT completed 130 committed leases with attributable NLA of 1,227,100sf in 2018 (4Q18: 39 committed leases with attributable NLA of 371,800sf). It achieved average signing rent for Singapore office leases of S$11.10psf pm for 2018, up 12.9% y-o-y. The bulk of new leasing demand came from financial services, government agencies and energy & resources. Management strives to maintain a balance between achieving high occupancy and maximising returns from assets. According to CBRE, average Grade-A office rents increased 3.4% q-o-q to S$10.80psf pm in 4Q18. Capital gains from divesting 20% of OFC. Keppel REIT divested a 20% stake in OFC to Allianz Real Estate for S$537.3m in Dec 18. OFC was valued at 2,985psf. Keppel REIT realised capital gains of S$77.1m, which could be utilised to enhance distribution to shareholders and also support its share buyback programme. Keppel REIT has purchased and cancelled 28.3m issued units in 2018. Management intends to renew its mandate for share buyback during the upcoming AGM. Keppel REIT’s portfolio has shrunk 4.8% to S$8.1b due to the divestment of 20% stake in OFC. A portion of the proceeds from the divestment was utilised to repay S$300m of loans in 4Q18. Thus, aggregate leverage was lowered by 2.8ppt q-o-q to a healthy 36.3%. 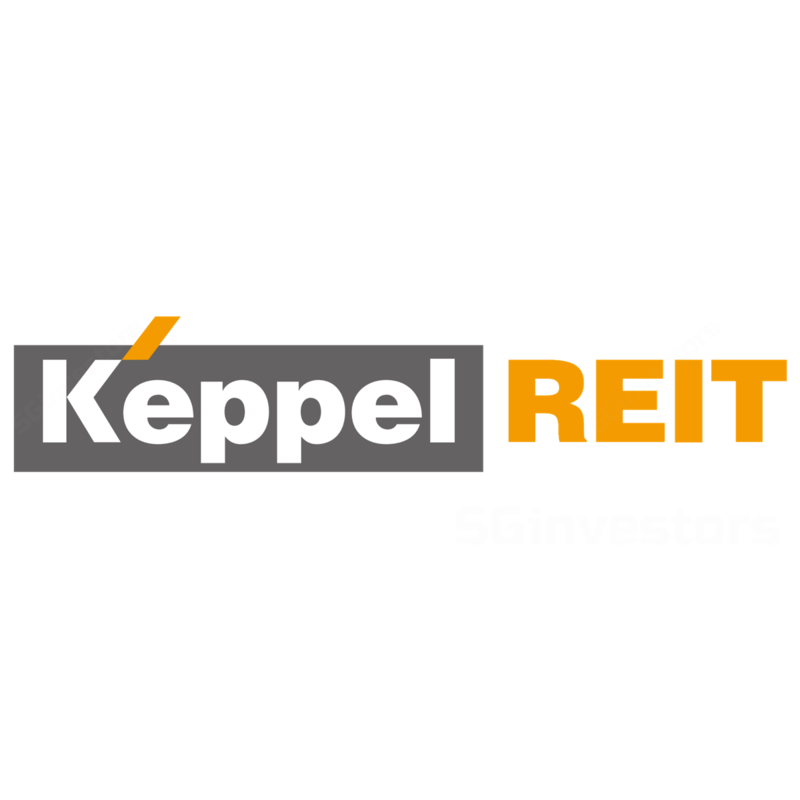 Keppel REIT is well supported by its bankers and has received commitments to refinance its loans due in 2019. The development of 311 Spencer Street in Melbourne is progressing smoothly. Superstructure for 24 floors was already completed. The 30-year lease to the Victoria Police will commence when the building is completed in 1H20. The building will provide recurrent income stream with fixed annual rental escalations. Keppel REIT will also pursue asset enhancement for 8 Exhibition Street at Melbourne, including upgrading the foyer and lifts in 1H19. We see 4Q18 as a trough as Grade-A office rents peaked three years ago at S$11.30-11.40psf pm. This year, Keppel REIT will also benefit from full-year impact of leases renewed at higher rents in 2018. Share price could also be supported by its share buyback programme.